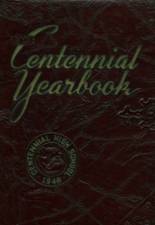 More 1948 alumni from Centennial HS Pueblo, CO have posted profiles on Classmates.com®. Click here to register for free at Classmates.com® and view other 1948 alumni. Missing some friends from Centennial High that graduated with you in 1948? Check the list below that shows the Centennial Pueblo, CO class of '48.